Davy is counting the days until his birthday. It seems like such a long wait! He is so excited, he can hardly sit still when Father Rabbit tells a story about a lucky little rabbit who had three wishes that all came true. Davy decides that if he had three wishes, he'd wish for someone who would tell him stories whenever he wanted, someone who would teach him new games, and someone who always had plenty of time to spend with him. Davy's birthday finally arrives and with it comes a big surprise present—too big to be wrapped—that makes all of Davy's wishes come true and his birthday the happiest one ever. This new adventure featuring Davy and the Rabbit family shows that love is the best gift of all. Eve Tharlet was born in France but spent much of her childhood in Germany. After graduating from the Superior School of Decorative Arts in Strasbourg, France, she began working as a freelance illustrator in 1981 and quickly received international acclaim. 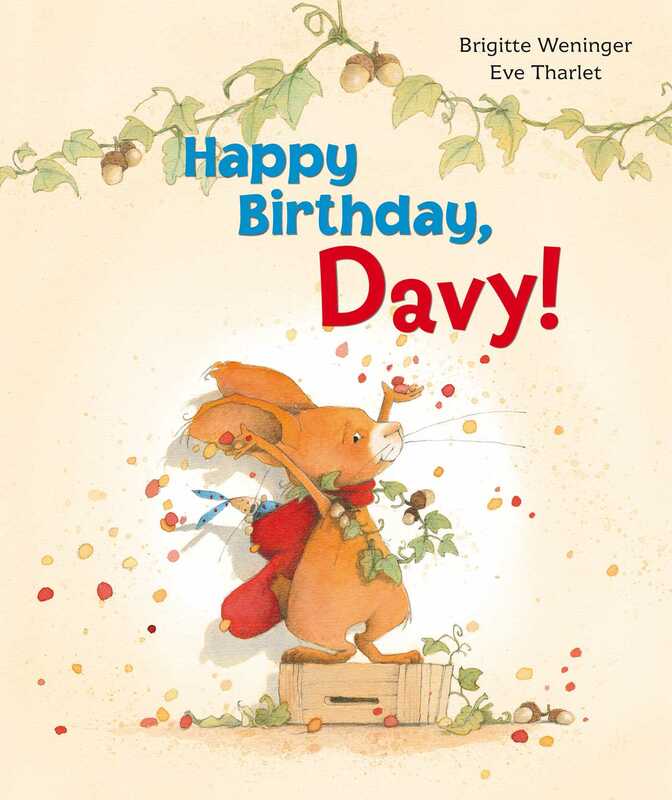 Her big breakthrough came with the series about Davy, the cute and cheeky bunny, which propelled her name around the world. Book Cover Image (jpg): Happy Birthday, Davy!